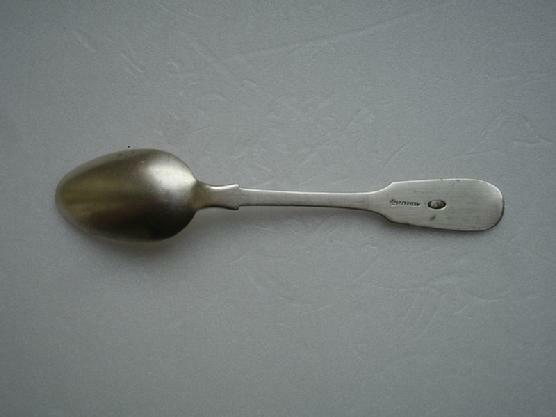 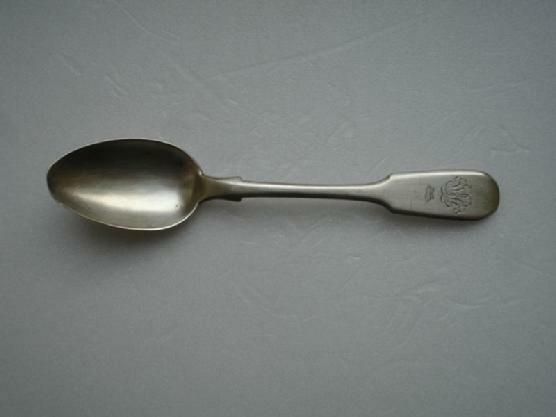 Genuine silver monogram tea spoon by famous Grachev Brothers. 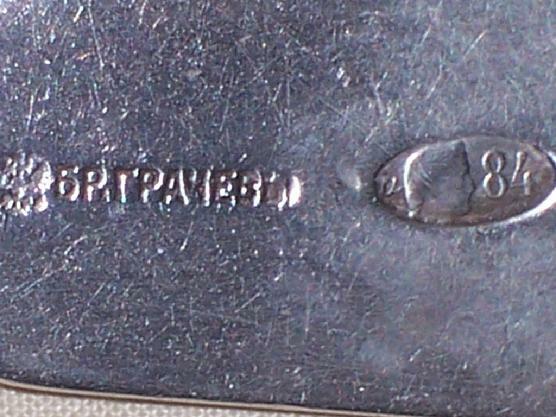 Marked with the 84 silver standard. 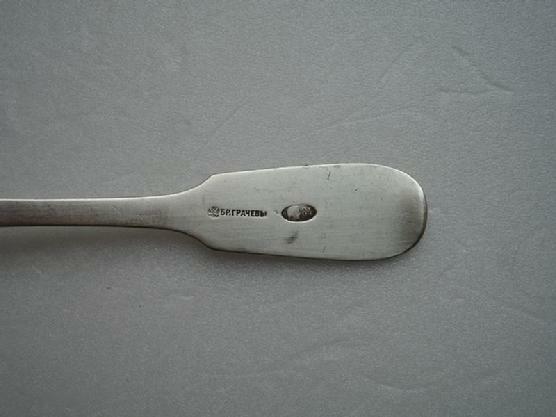 St Petersburg,1908-1917. 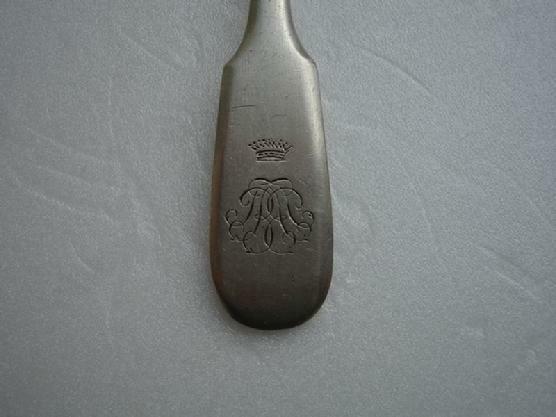 Silver spoon on top of the handles, with a Russian script "EV "
Prince Nicholas of Greece and Denmark. 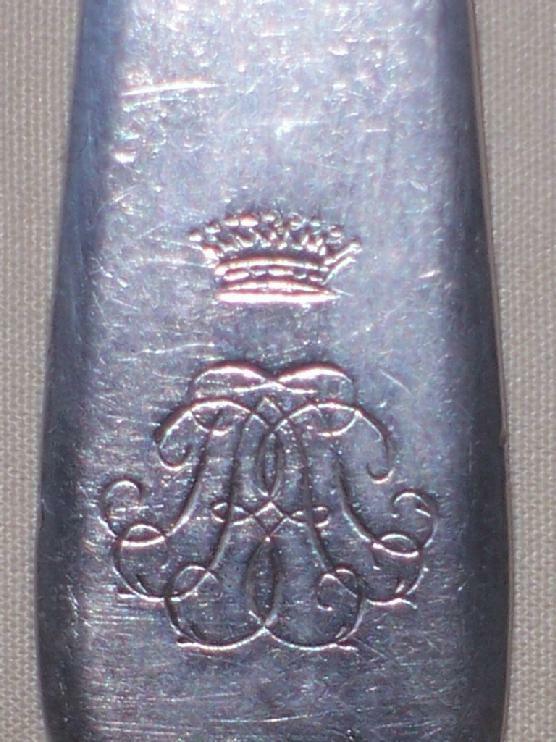 Length: 5.5/8"or 14.0 cm. 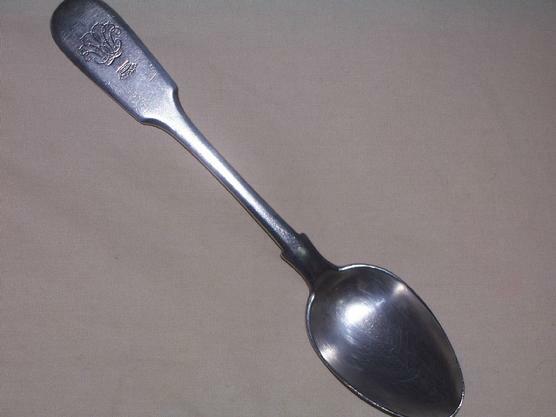 Weight: 25 gramm, or 1.3 oz. 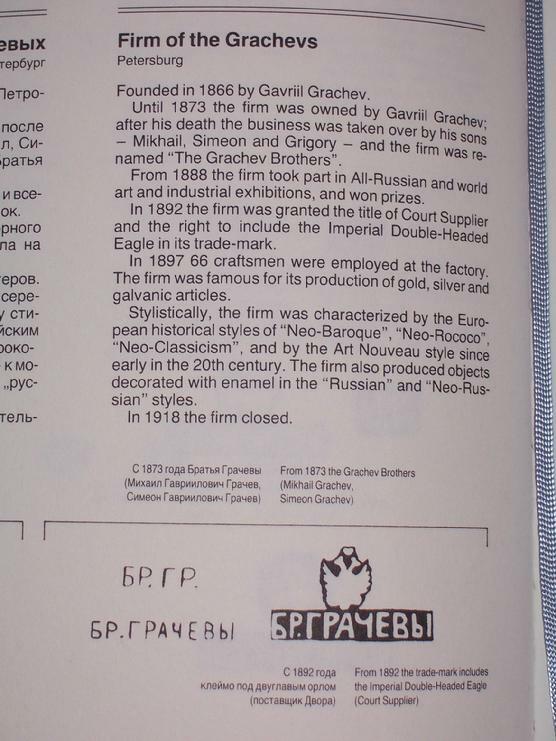 supplier with, Double Headed Eagle as a trademark.